Offshore Financial Centres (OFCs) are typically small nation states which seek to attract foreign financial capital through numerous incentives. In these jurisdictions, offshore financial services represent the dominant source of economic activity. As the Islamic finance industry is growing and maturing, the expertise and advantages offered by these OFCs are being sought after by investors and Islamic finance service providers to invest in and structure Shari'ah-compliant products. This research therefore undertakes a cross-country analysis of key OFCs which actively promote the provision of Islamic financial services. Four case studies are examined: the Cayman Islands, Luxembourg, Labuan International Business and Financial Centre (Labuan IBFC) and Bahrain Financial Harbour (BFH). 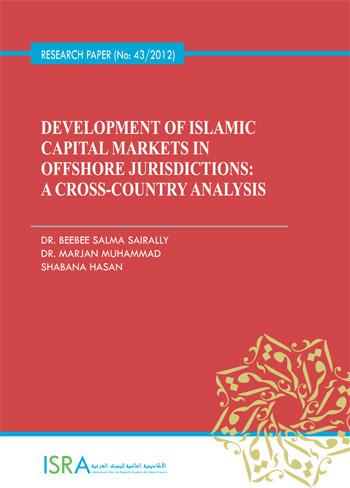 In this respect, the research discusses their competitive strategies in attracting offshore Islamic financial businesses, particularly focusing on the business and regulatory infrastructure and tax policies adopted by these jurisdictions. Moreover, their products and offerings as well as the challenges and opportunities in offering Islamic capital market services have been deliberated upon. A comparative analysis of these OFCs has also been made based on their ranking in some international indices that rate the global competitiveness of world economies. Overall, the paper delineates the lessons learnt from the best practices of these OFCs which will serve as useful guides for jurisdictions venturing into offshore Islamic financial businesses.